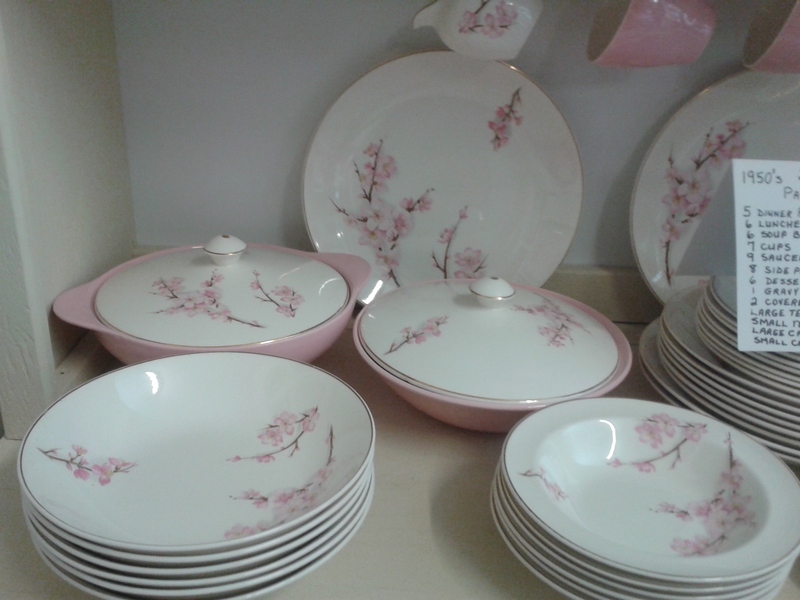 These dishes were made by J. G. Meakin ca. 1950’s. 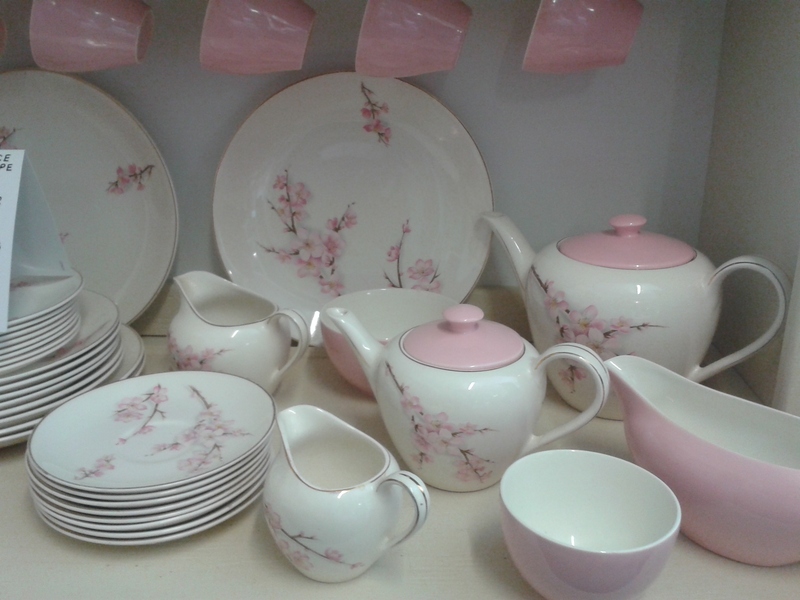 The pattern is called ‘Evesham’ and the shape of the dishes is called ‘Grace’. It is not a complete set, but there are enough pieces to make a decent display on your table. Very pretty pattern of what appears to be apple blossoms. 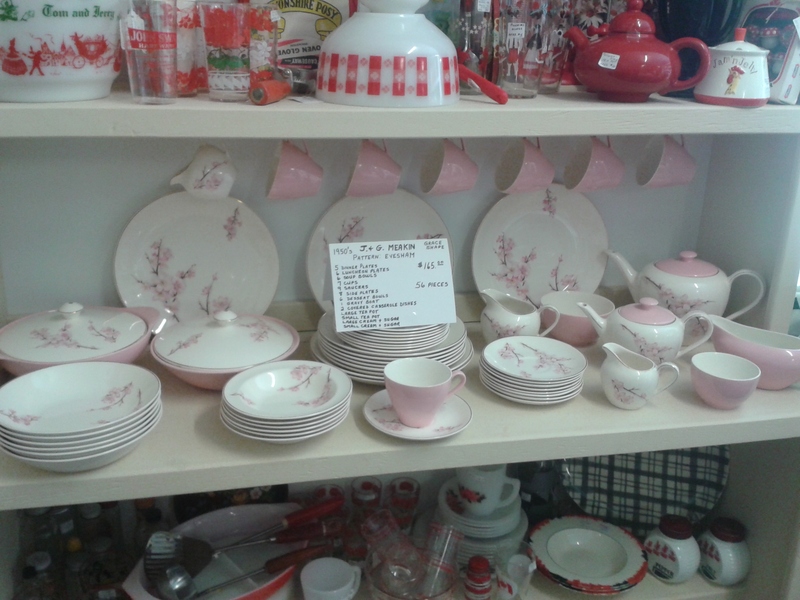 Nice contrasting solid pink cups and casserole dishes. Most are in excellent condition. There are a few smaller side plates with quite a bit of crazing and slight discolouration on them. There are both a large and small teapot, large and small sets of cream and sugar. Priced at $165 for the set.